The site Spišský Štvrtok/Csütörtökhely-Flur Myšia hôrka (previously Barimberg)(Sk) is one of the most well-known Middle Bronze Age settlements on a European level; it was excavated by J. Vladár between 1968 and 1975, following numerous smaller research efforts (Vladár 1975). The geographical position of the Bronze Age Settlement is ordinary, located at a promontory on the terrace of the stream Malachovský, which flows into the river Hornád. Following the complete excavation of the settlement, we learned from Vladár’s articles (for the full list: Bader 1978 and Vladár 2014) about the features and finds observed there. The settlement was protected – on the sides left undefended by natural terrace borders – by a semi-circular, stone covered wall on both sides, with a palisade placed on top of it. On the eastern side, a lower wall stretched outside of the stone wall. The entrance was also on this side, guarded by two round stone towers. 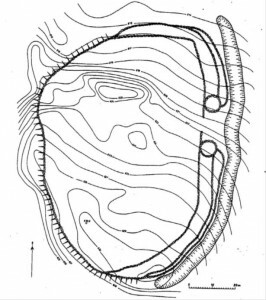 The eastern fortified settlement was separated by a 6 metre wide ditch from the more extensive, rustic settlement. From the entrance of this stonewalled settlement, a stone paved road led to a more significant part of the settlement that Vladár named “Akropolis”. Here, surrounded by houses with stone foundations, they found a U-shaped, stoned surface that was bordered by pithos burials and a stone stele. Vladár interpreted this area as the religious centre of the settlement. Houses of craftsmen were lined up by the wall, forming groups based on different trades. Based on the finds, the excavator identified the following craftsman locations: ceramics, bone and antler processing to the north of the entrance, stone, bronze, gold and textile processing to the south of it. In the pit next to the entrance, the thrown in remains of 9 corpses were found, they were identified by the excavator as a group sacrifice following the construction of the settlement. A település idősebb fázisát a Reinecke A3 periódusra, míg a fiatalabbat a Reinecke B1 időszakra teszi Vladár. Ez a datálás megfelel a Szepességben általánosan megfigyelteknek miszerint az OFK kultúrkomplexum életének második felében telepítette be sűrűn ezt a területet. Ez az időszak a magyar kronológiai rendszer szerinti középső bronzkor második fele és az ún. koszideri periódus. Vladár dates the older phase of the settlement to the Reinecke A3 period, while the younger phase is categorised as Reinecke B1. This dating fits what is generally observed in the Spiš region, namely that the OFK cultural complex settled in this area more intensely during the second half of its lifetime. In Hungarian chronology this period is referred to as the second half of the Middle Bronze Age, the so-called Koszider period. A rich assemblage came to light at the settlement, of which the decorated horse-bits (Vladár 1971), bronze and gold depot finds and ore depot are mentioned on multiple occasions (Kovalčik 1970; Vladár 1973; 1978; David 2002, 490), but it was not published systematically. Same goes for the layout of the settlement or the details of a precise documentation. Three layouts are available of the settlement in literature. One of them was published by Vladár himself in his German summary in 1975 (Vladár 1975, Abb. 2), primarily featuring the fortification. Based on descriptions, Jockenhövel (1990, 216, Abb. 4) reconstructed an interpretation of the layout, with the units described by Vladár included. 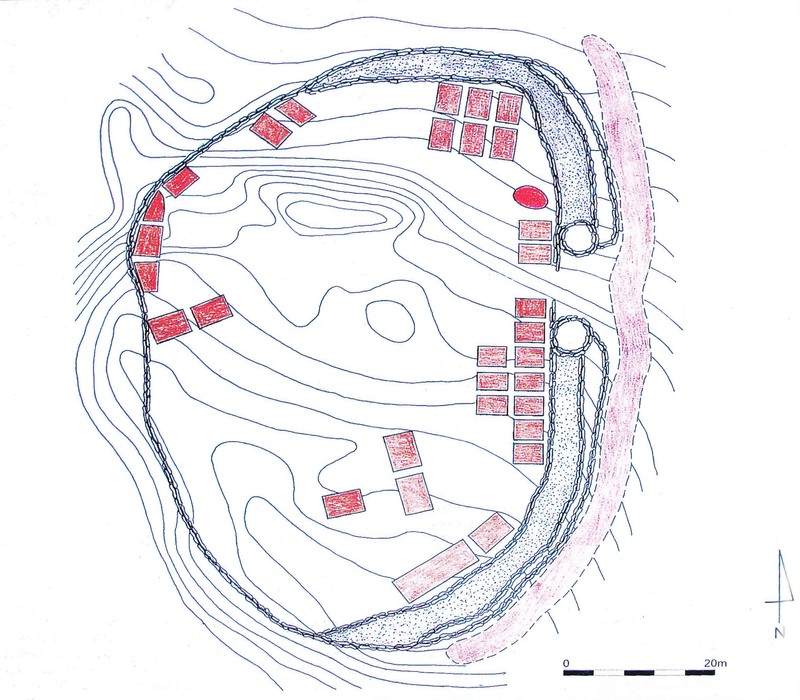 Then in 2002, based on the original documentation, a redrawn, more complete layout was published (Gašaj 2002, Fig. 6). 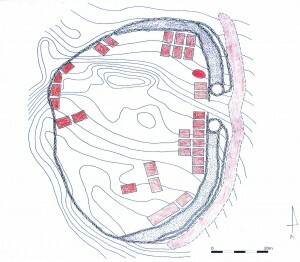 What makes this settlement unique is the fact that it was completely excavated (and thus, destroyed); this lets us examine Bronze Age features which are not possible at most sites due to fragmentation. Another unique characteristic is the theory that J. Vladár tied to the settlement ever since the first publication of the excavation. According to that, the stone wall, the stone towers guarding the entrance, the inner structure of the settlement (Akropolis – craftsmen district – suburbium) and the assemblage all show strong Aegean, Mycenaean ties. Therefore the Bronze Age societies of the Carpathian Basin is described as a region strongly dependent on Aegean (Mycenaean, Cretan) development, which, when applied to the post-1980s centre-periphery theory, makes Central Europe a subjugated, underdeveloped region, relying on its southern neighbours to this day (Vladár 1973). The dominant role of the centre-periphery theory (Sherrat 1983) is on the decline nowadays. The connection between 2nd millennium BC Carpathian Basin and the Aegean, late Middle, early Late Helladic periods is undeniable, but the number of concrete evidence is only a handful. Based on that, a strong dependency system between the two regions cannot be hypothesized. Chronological research proved that the golden age of the late Middle Bronze Age (after Hungarian chronology) – which Spišský Štvrtok is also a result of – significantly preceded Mycenaean monumental architecture and palaces. There are little similarities between the architecture, material cultures and societies of the two regions and periods. In addition to the aforementioned, a very critical article was published recently about the dating of the fortification of the settlement Spišský Štvrtok (Jaeger 2014). 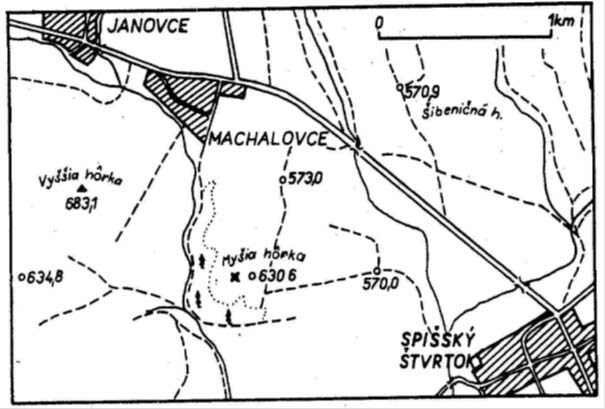 Although we are aware of fortifications made out of stone or with stone foundations from the OFK territory, the structure of the one found at Spišský Štvrtok bears little resemblance to those. However, it shows no ties to the otherwise sporadic late Middle Helladic period (that is, of the same age) Aegean fortifications either. 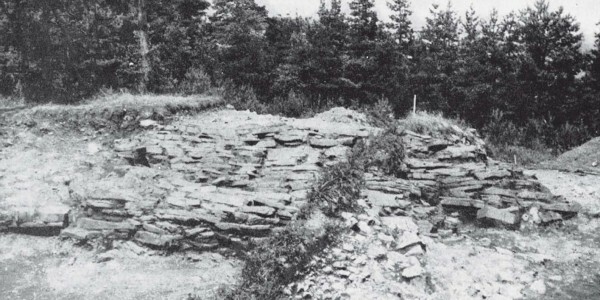 The most surprising similarity with the stone wall’s structure is from the known Slovak fortified settlements of the Púchov culture (Celtic period). Throughout the systematic collection of OFK settlements I also experienced that in the Spiš region, many OFK sites were later settled in by the Púchov culture, which is presumably a result of choices made based on the same environmental criteria. However, the settlement of Spišský Štvrtok cannot be considered published, despite having been discussed in numerous publications. Most studies only present the excavator’s interpretation of the site and not real data. Of course without new information the Celtic origin of the fortification cannot be confirmed for sure, purely by analogical means, but the “myth of Spišský Štvrtok” definitely seems to be falling out of favour. Bader, T. 1978, Epoca bronzului in nord-vestul Transilvaniei. Bucuresti. 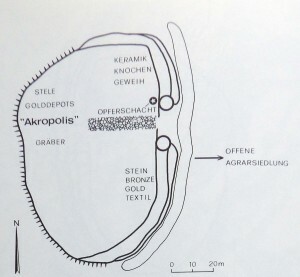 David, W. 2002, DAVID W. 2002, Studien zu Ornamentik und Datierung der bronzezeitlichen Depotrfund-gruppe Hajdúsámson-Apa-Ighiel-Zajta. Bibliotheca Musei Apulensis 18. Gašaj, D. 2002, Osada obronna w Spisškim Štvrtku. Fortifies settelemet at Spisšý Štvrtok. in: J. Gancarsky (ed.) Między Mykenami a Bałtykiem. Kultura Otomani-Füzesabony. Krosno-Warszawa. 37–41. Jaeger, M. 2014 The stone fortifications of the settlement at Spisšký Štvrtok. A contribution to the discussion on the long distance contacts of the Otomani-Füzesabony culture. Prehistorische Zeitschrift 89, 291–304. Jockenhövel, A. 1990, Bronzezeitlicher Burgenbau in Mitteleuropa. Untersuchung zur Strucktur frühmetallzeitlicher Gesellschaften. In: Orientalische-Ägäische Einflüsse in der Europäischen Bronzezeit. RGZM Monographien Band 15 (1990) 209-228. Sherrat A. 1993, What would a Bronze-Age world system look like? Relations between temperate Europe and the Mediterranean in later prehistory. Journal of European Archaeology 1, 1–57. 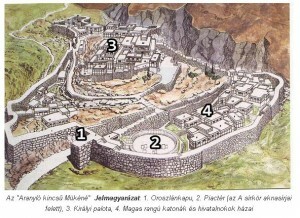 Musaica 21, 5–12. Vladár, J. 1971, Parohové bočnice zubadiel otomanskej kultúry na Slovensku. Geweihtrensen der Otomani-Kultur in der Slowakei. Slov Arch 19, 5–12. Vladár, J. 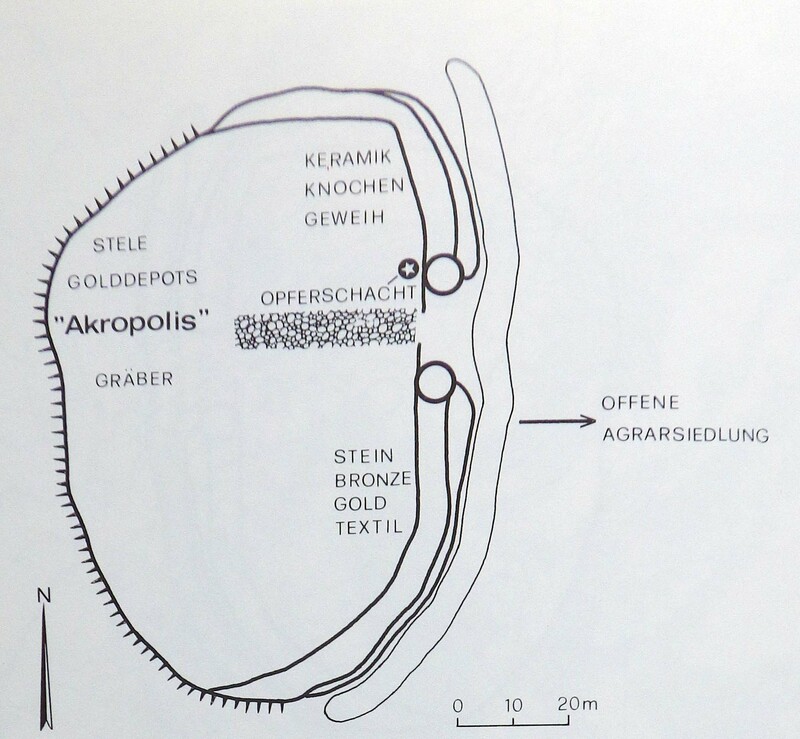 1973, Osteuropäische und mediterrane Einflüsse im Gebiet der Slowakei während der Bronzezeit. SlovArch 21, 253–357. Vladár, J. 1975, Spišský Štvrtok. Befestigte Siedlung der Otomani-Kultur. In: III. Inter-nationaler ongress für slawische Archäologie Bratislava, 7–14 September 1975. Nitra,2–24. Vladár, J. 1978, Umenie davnovekého Spiša. Bratislava, 1978. Vladár, J. 2014, Praveké mestá z doby bronzovej Spisšký Štvrtok a Košice-Barca. Musaica 28, 15–37.